What can we say, we were very excited when Andreas from our community shared this fix with us. LEGO figures fit a variety of cables perfectly, so with a little bit of Sugru, you can say goodbye to stray cables forever. 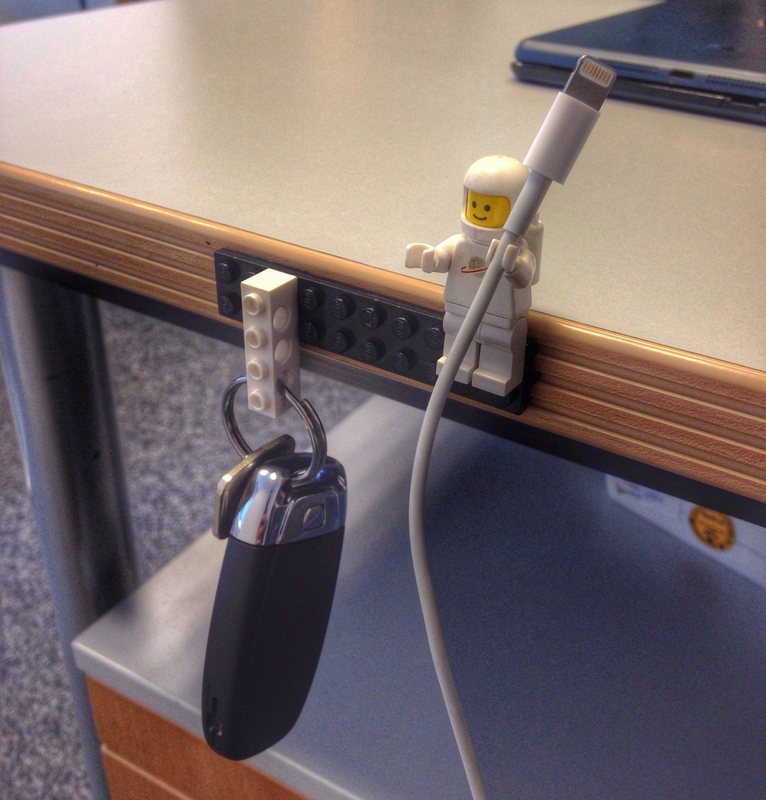 "I discovered this by accident it’s my way of organising things around my desk. The picture shows my prototype version of a combined key and cable holder. I love it since it’s not just putting things where they belong but for their flexibility and the sight of the beloved LEGO pieces." It’s not just that Sugru loves LEGO – LEGO loves sugru too. Sounds like a perfect modern love story!